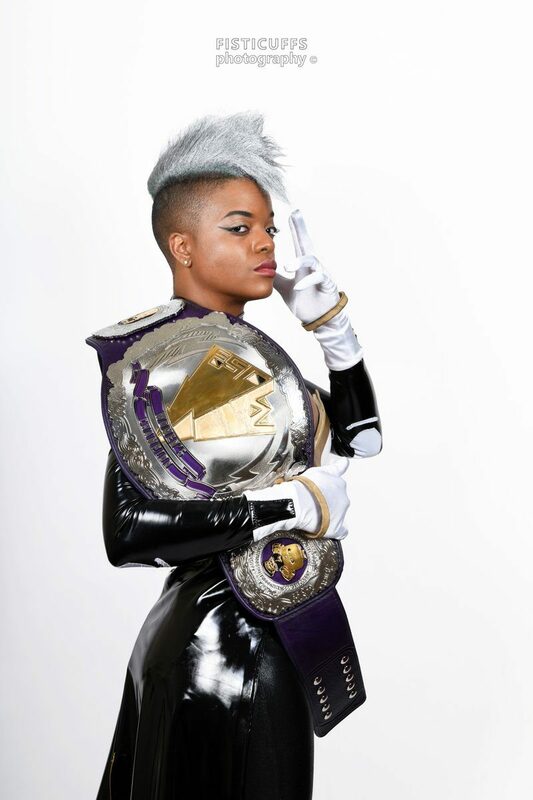 Newly crowned first champion “Storm” Aerial Monroe, debuted the new FSCW Women’s Championship at Florida SuperCon! 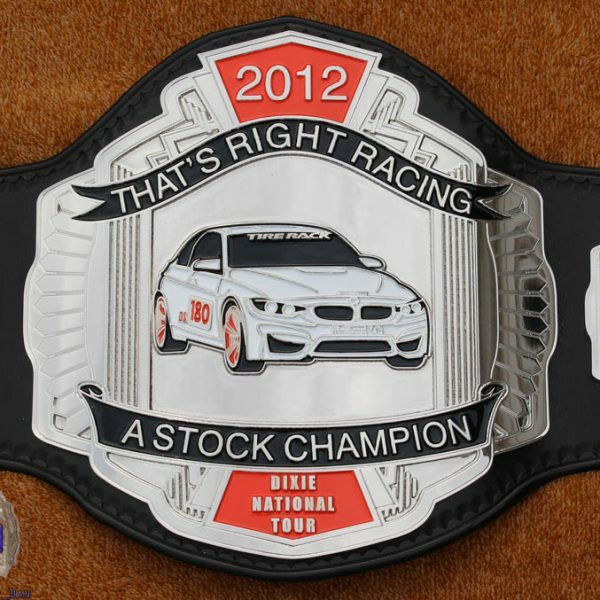 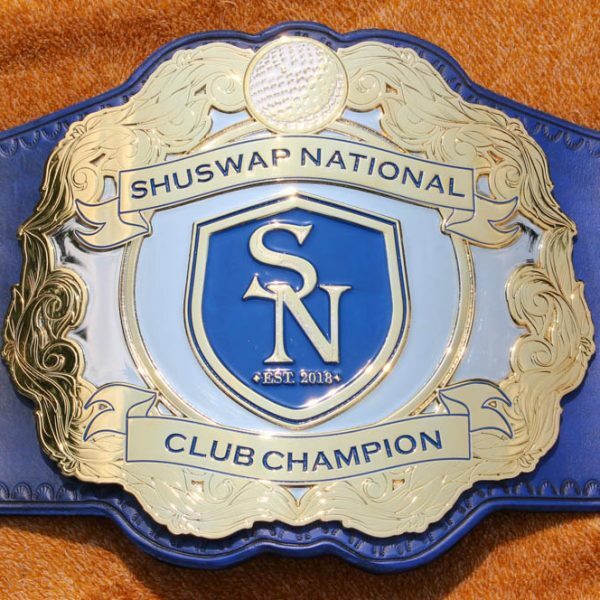 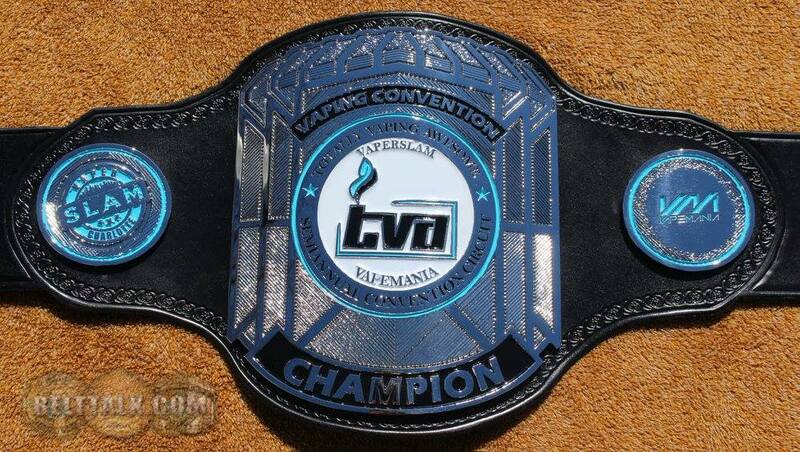 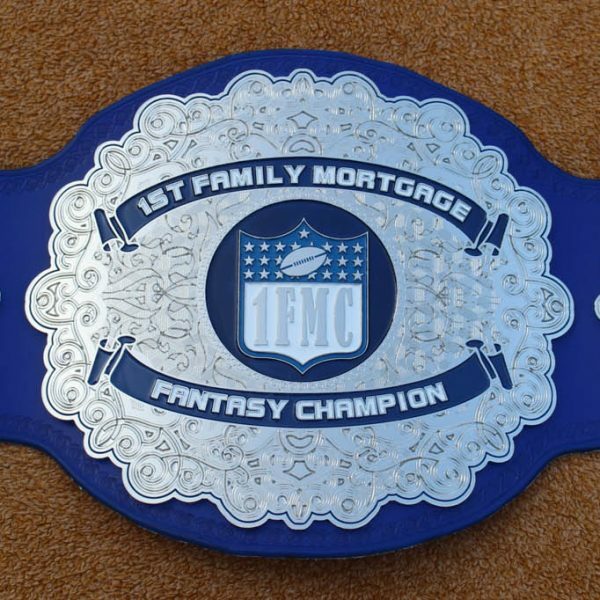 This 3 plate championship belt features the FSCW logo in gold plating and gold paint to give a 2 tone effect. 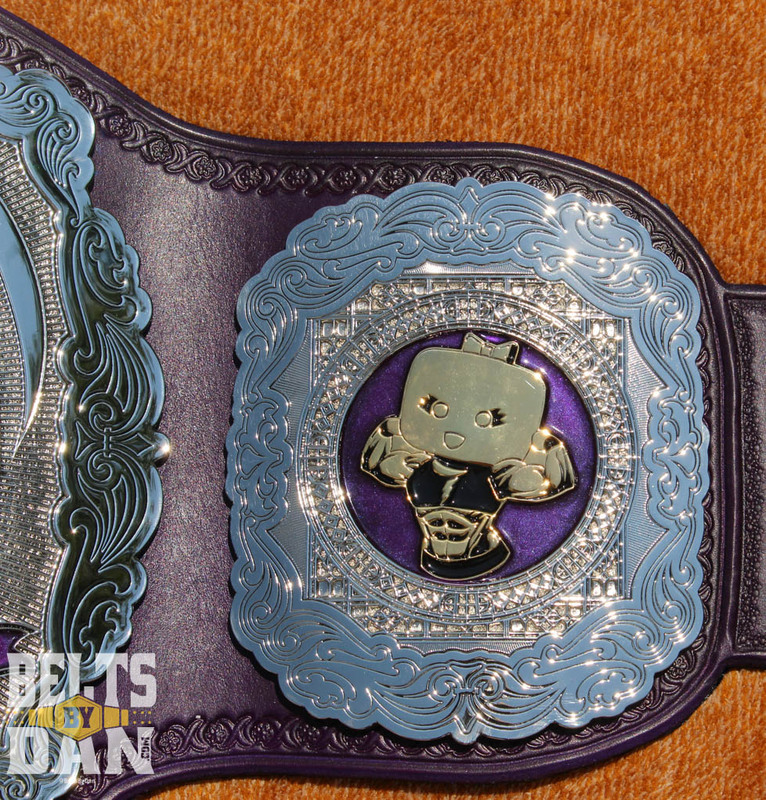 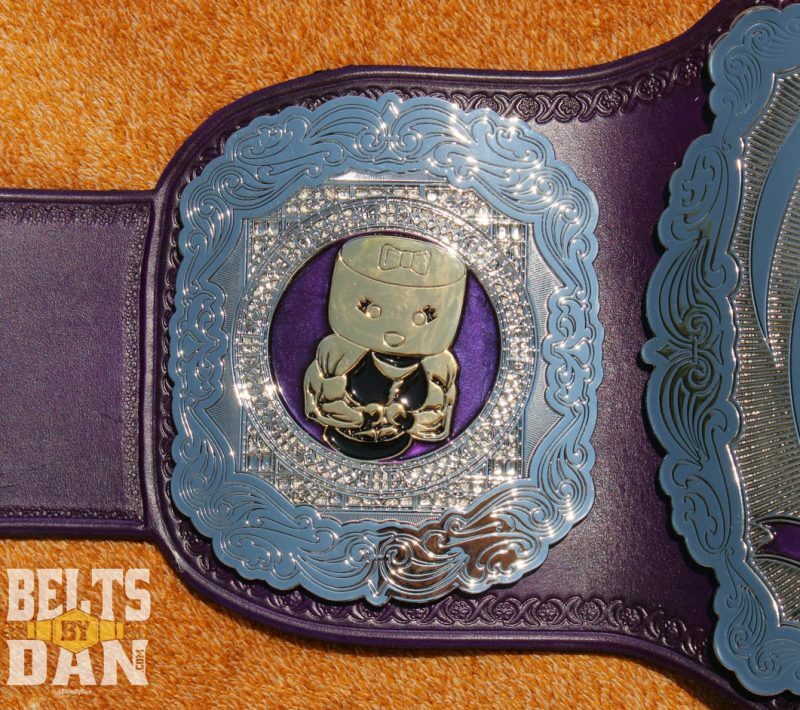 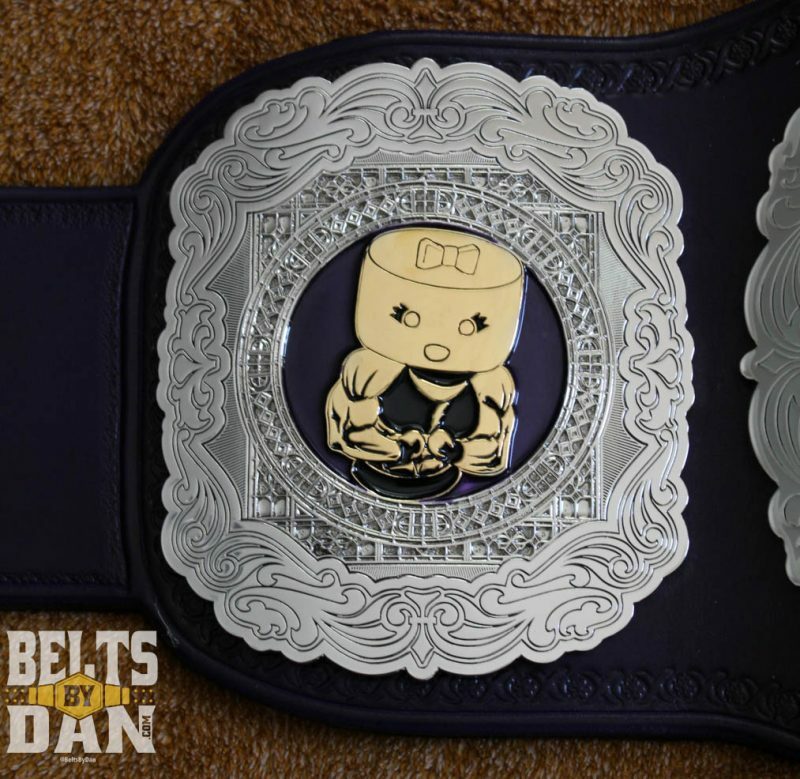 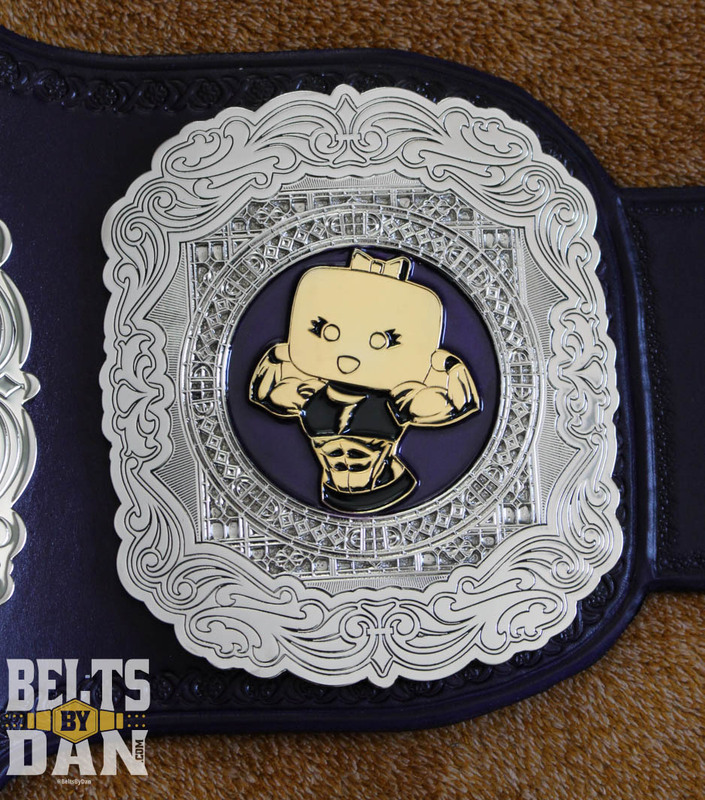 The belt is on a purple leather strap with pebble snapbox tooling and black backing.